On September 29, 1758, a sickly baby boy was born in Norfolk, England. Short of stature (he was 5’4″) with a slight build, he was frail and frequently ill his entire life. Although he spent a great deal of time at sea, he also suffered from seasickness. This hot mess was legendary English naval hero Horatio Nelson. What Nelson may have lacked in physical stamina, he more than made up for in gumption. 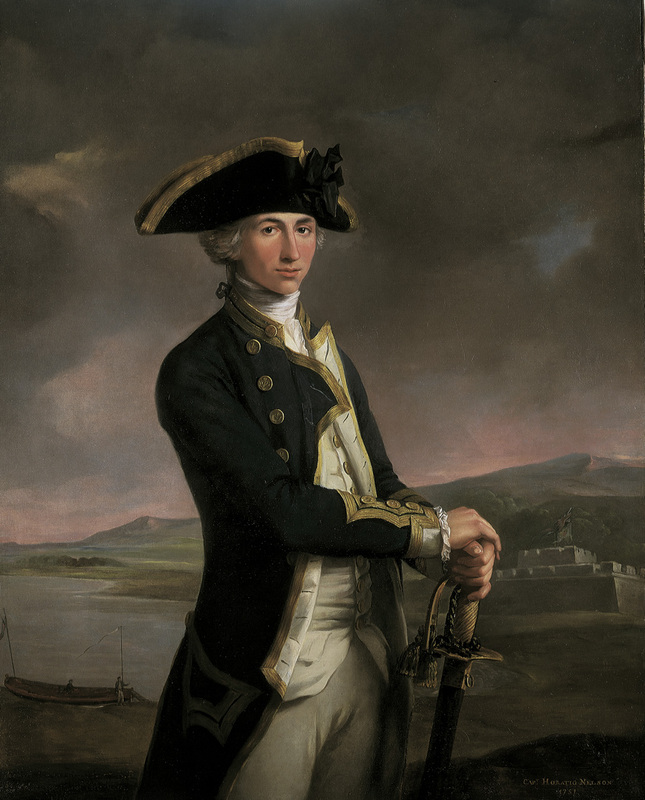 Horatio joined the Navy at the age of 12 and was a captain by 20 – not bad for a little fella. His duties sent him to exotic locales such as Calcutta, Ceylon and Madras. He brought home with him reoccurring episodes of dysentery and malaria as a souvenir. Nelson spent the next five years on land, until 1793 when the English became involved in the French Revolution. That year, Nelson was given the command of the Agamemnon. While taking Corsica, he lost his sight in his right eye at the Battle of Calvi. It was during this period that Nelson began to seemingly take Pliny the Elder’s famous line “Fortune favors the brave!” to heart, progressively becoming more and more bold in battle, often disregarding orders from above. (During one battle, he supposedly put the telescope to his blind eye and claimed he couldn’t see the order to withdraw). This could have meant trouble for Nelson – except that his disobedience consistently yielded such favorable outcomes. Nelson lost his right arm in 1797 during the Battle of Santa Cruz on the island of Tenerife and endured having it amputated with no anesthesia. His actions didn’t go unnoticed, though, and he steadily worked his way up the ranks. 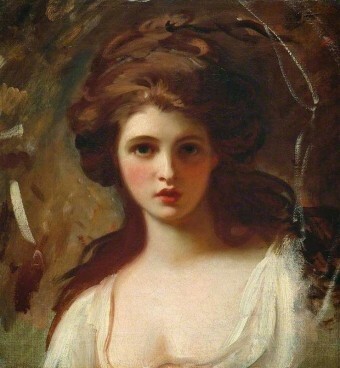 A few years before this, he was sent to Naples, where he encountered the legendary beauty Emma, Lady Hamilton, the second great love of his life. 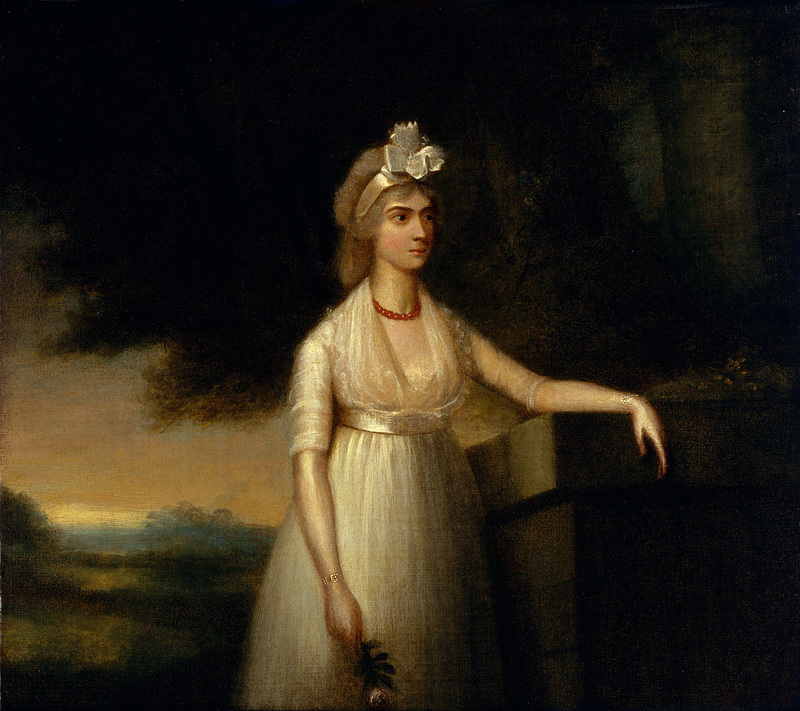 The pair both remained married to their respective spouses, but early 30s Emma’s late 60s, sickly husband, Sir William Hamilton, didn’t seem to mind his wife’s affair and absolute obsession with Nelson. In the end, Emma and Nelson considered themselves soulmates and even openly lived together, despite the extreme scandal. They also had a daughter, Horatia, born in 1801, who at first was “adopted” as an orphan by the pair, but later learned her true parentage. High society was mostly willing to overlook the scandal because with Vice-Admiral Nelson at the helm, the British Royal Navy was a force to be reckoned with. Case in point, Napoleon wanted to invade Britain, but in order to do so he really needed a resounding naval victory. The French were hoping to accomplish this at Cape Trafalgar off Spain’s southern coast, but Nelson had other ideas. Before the Battle of Trafalgar on October 21, 1805, Nelson signaled his fleet with the now legendary message “England expects that every man will do his duty”. Unfortunately, during the height of the battle, he was shot in the back on the deck of his ship, Victory. They brought me word, Mr Whitby from the Admiralty. “Show him in directly”, I said. He came in, and with a pale countenance and faint voice, said, “We have gained a great Victory.” – “Never mind your Victory”, I said. “My letters – give me my letters” – Captain Whitby was unable to speak – tears in his eyes and a deathly paleness over his face made me comprehend him. I believe I gave a scream and fell back, and for ten hours I could neither speak nor shed a tear. Upon his death, Nelson was just 47 years old. His body was preserved in a barrel of brandy for the trip back home to England. He lost his life, but spared his country from French invasion. Nelson’s funeral in London was befitting a national hero. There were reportedly so many people in the funeral procession that even as those first in line reached St. Paul’s, those in the rear still had not left the Admiralty. Unfortunately for Emma, Nelson’s adamant last wishes that she be taken care of were not followed (though he could have made it easier by leaving her more of his estate, rather than bequeathing most of it to his brother). While she was given a small pension, she quickly depleted it attempting to keep up Merton Place as a monument to her dead lover. She ultimately found her way into debtors’ prison, then later fled to France to escape her debts, dying of amoebic dysentery there in 1815 at the age of 49. I feel very sorry for Mrs. Nelson (Frances Nisbet). She deserved to see (and did see) the early deaths of the two people that had treated her so shabbily. Her husband does not deserve to be considered a hero, although one has to take into consideration the horrifically bad example that he had received from prominent Englishmen during the previous two centuries (e.g., Henry VIII). What was once “Great” Britain had become Graceless Britain — and it has continued in a downward spiral (with rare exceptions [e.g., courage in the World Wars, Bl. John Henry Newman]) since then.